Healthy levels of hydration can increase energy levels, regulate circulation and digestion, and improve overall skin complexion. I don't know anyone who doesn't know this, yet most of us are still dehydrated due to our busy lifestyles and/or frequent travels. It's especially easy to forget about hydration while on a trip. 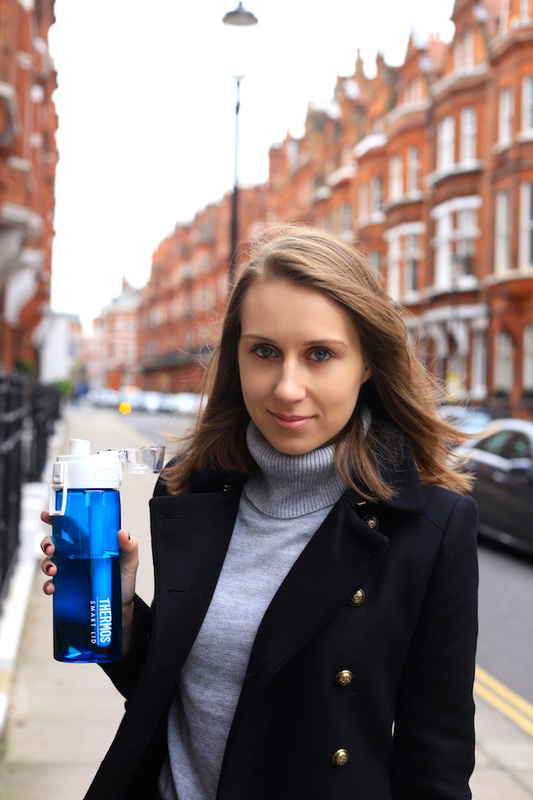 As you might know from my social media, I am in London right now and I found a great way to help me reach my hydration goals before and during my trips. 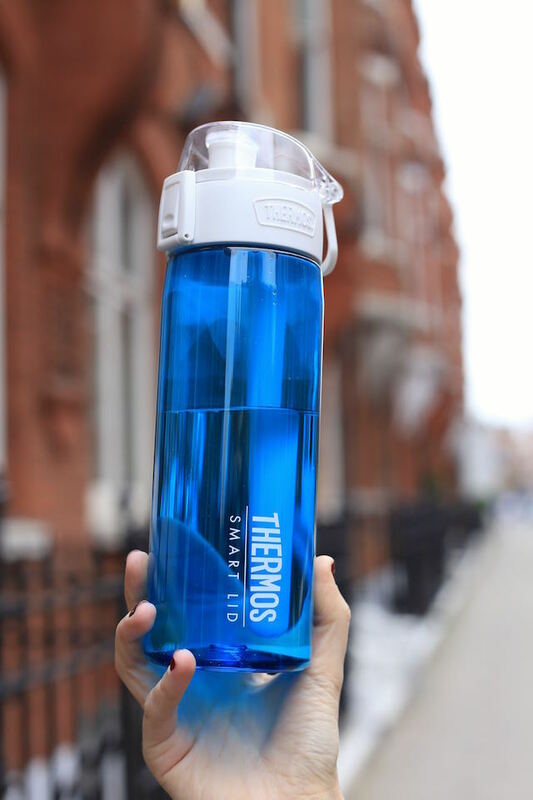 Technology has improved our lives in so many ways and now the hydration problem can be solved once and for all thanks to Thermos® Connected Hydration Bottle with Smart Lid. 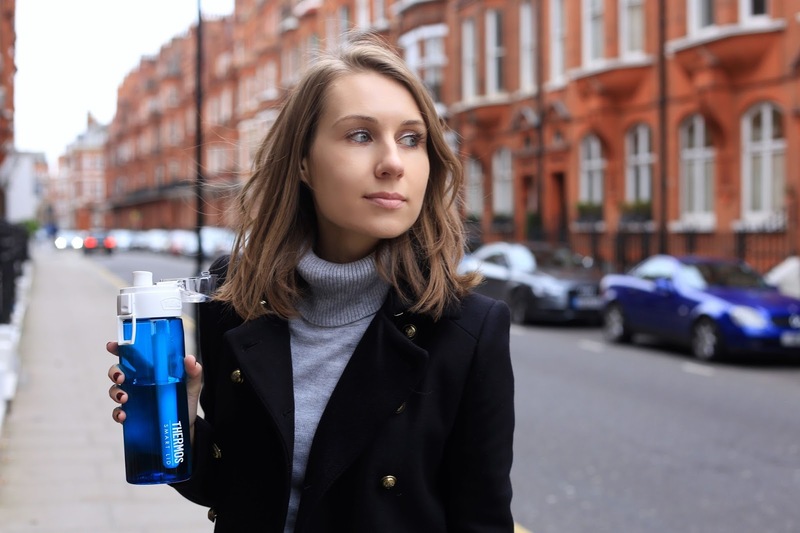 Their Connected Hydration Bottle will help consumers stay hydrated by identifying hydration goals, tracking water intake, and sending reminders to make sure people stay on track to meet those goals. 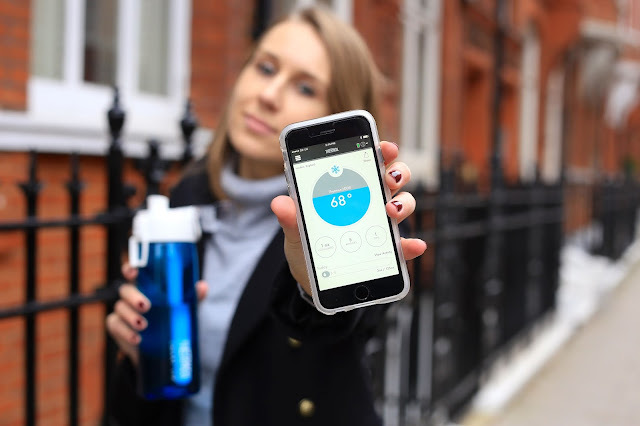 The hydration progress automatically updates in the app when the bottle is within 75 feet of the user’s compatible Apple device, which is done through a Bluetooth® Smart connection. A suggested hydration goal is calculated by entering a user’s age, gender, height, weight and activity level. If you are not on track to meet your daily hydration goal, you'll receive an alert with a friendly reminder to keep drinking water to meet your specified goal. A sensor tube on the lid measures and provides a temperature reading. It's a perfect way to make sure you are reaching your hydration goals. 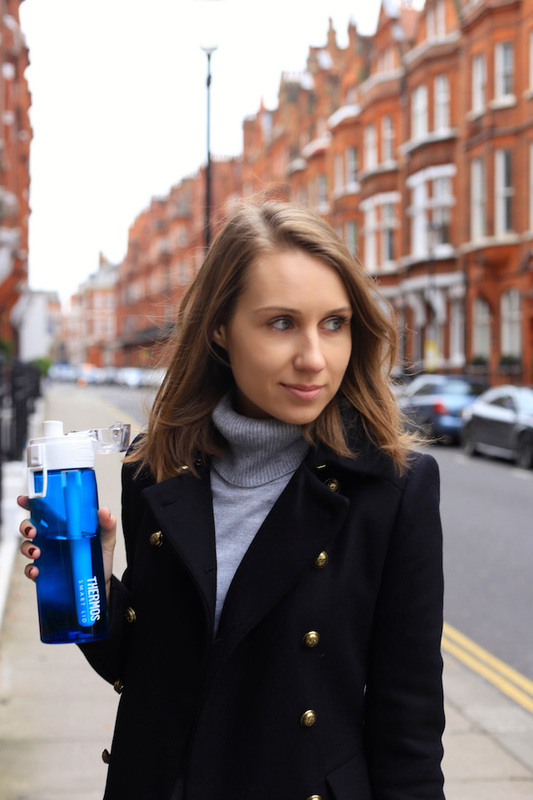 The new bottle also helps ensure users don’t overhydrate by providing an update when a user’s suggested hydration goal is met. Dangers of overhydrating include: loss of appetite, nausea and vomiting, headaches, muscle weakness and spasms, and fatigue. Красивые фотографии! Как всегда остается восхищаться новыми технологиями! Великолепная идея с Thermos держать себя в тонусе и помочь своему здоровью! Отличная идея приобрести себе и порадовать своих друзей в канун праздника! Beautiful pictures! The modern way to monitor yourself and your health! I really like the idea! Красивые фотографии! Люблю твой пост! Восхищаюсь новыми технологиями!